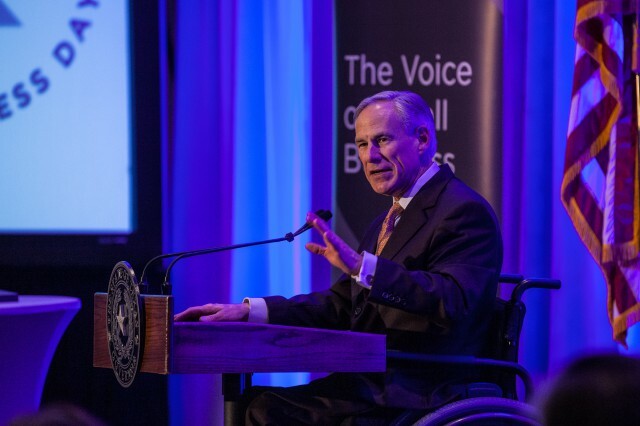 Governor Greg Abbott today delivered remarks at the National Federation Of Independent Business' (NFIB) Texas Small Business Day Conference in Austin. The Governor discussed his priorities for the legislative session, including property tax and school finance reform, and expressed his commitment to creating an even stronger economic environment in the state of Texas. Since 1943, NFIB has served as a powerful voice for small and independent business owners across the United States. NFIB's Texas Small Business Day Conference is an opportunity for business owners to learn more about the issues affecting their profession in both Austin and Washington D.C. through a variety of small business panels and speakers.